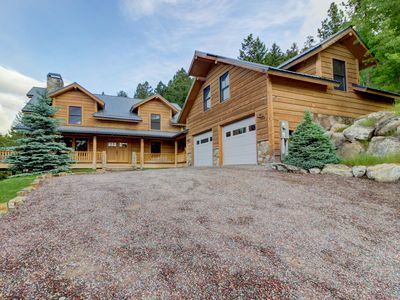 This beautiful home is fully up to date, with high end finishes, and is just as beautiful as the views that surround it. 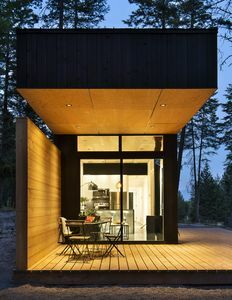 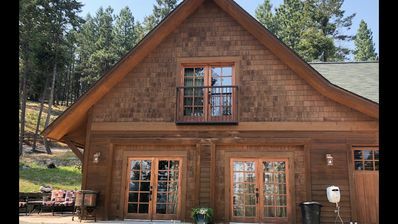 It has 2 bedrooms and 3 bathrooms, as well as a office that that can be closed off for additional private sleeping quarters. 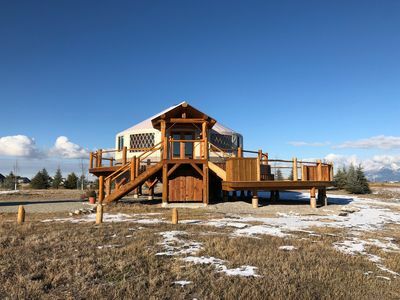 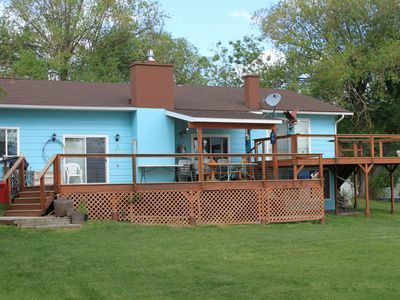 The deck that overlooks the lake is very spacious, with breath-taking views all around, and is ready to for you to relax, barbecue, and roast marshmallows in the fire pit, under the stars. 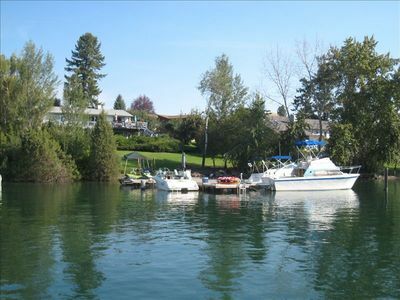 This home offers a boat slip and a on site gym as well. 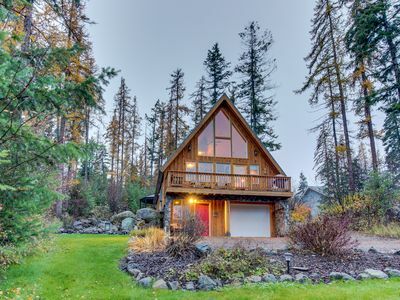 You won't be bored with how much there is to offer all around! 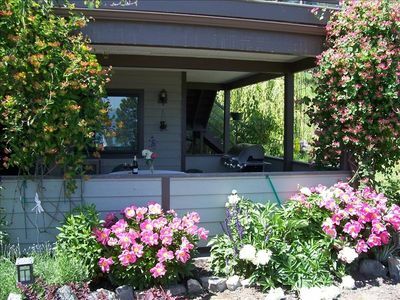 Rustic charm w/ modern amenities, an expansive back patio, lake view! 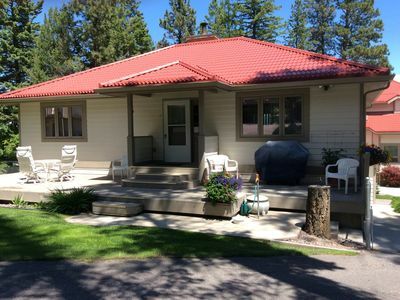 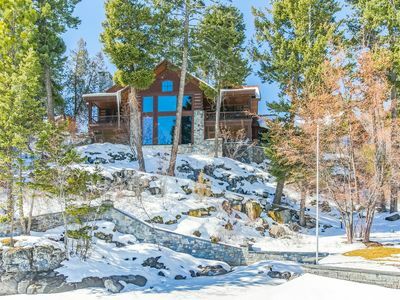 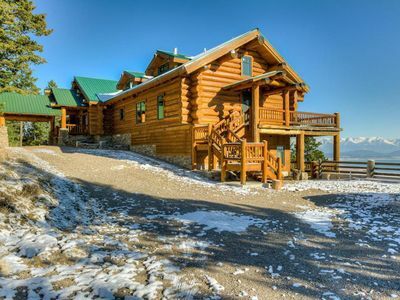 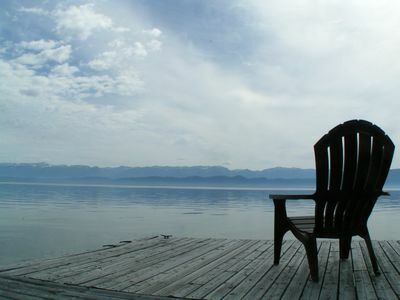 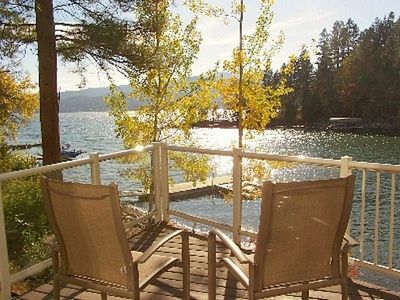 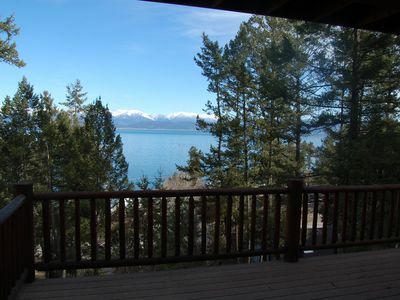 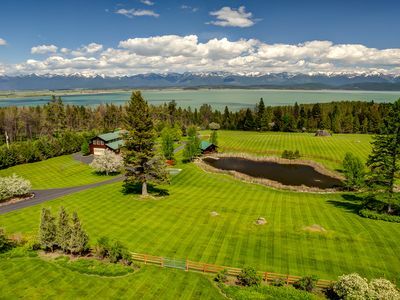 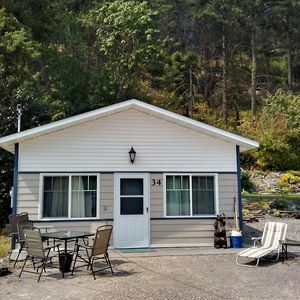 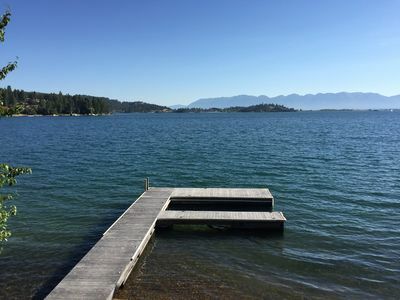 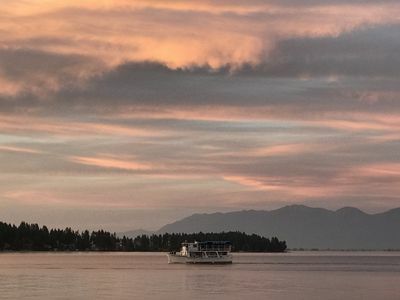 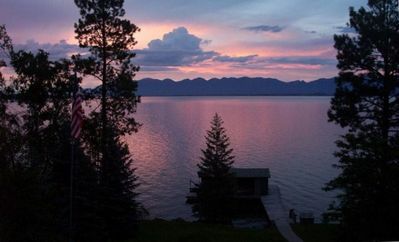 Waterfront, Beautiful Flathead Lake, Panoramic Views! 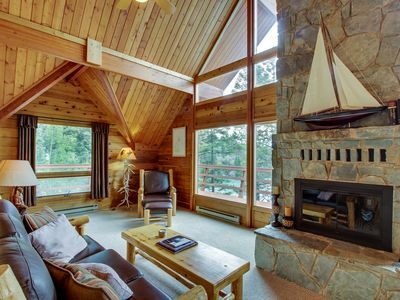 Gated 2 Bedroom Cottage: Sleeps 4, Lake Views, Fireplace, Kitchen.